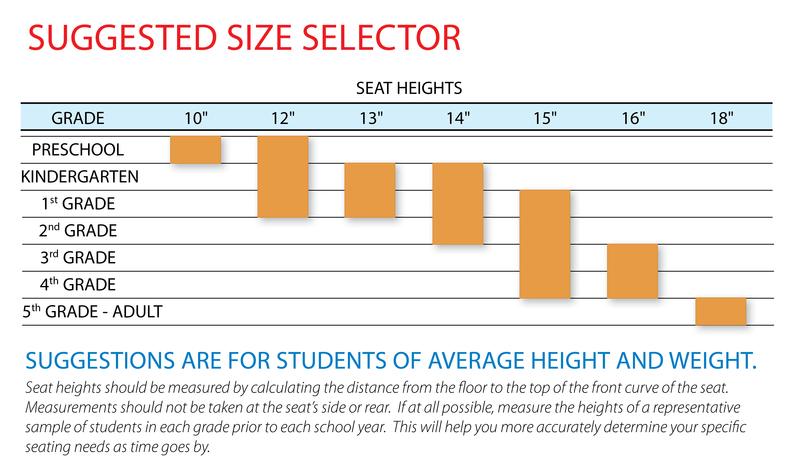 Padded, upholstered task chairs provide popular seating solutions for a variety of on-campus venues. Features adjustable seat height and manual back-depth adjustment. Great for tech labs, libraries or as a teacher chair. Task chairs feature an upholstered seat and back. Model 4300 is available with a gas cylinder for easy seat height adjustment. Gas cylinder is a gas spring type with a steel cylinder housing. Five-prong base made of glass-reinforced nylon and are tapered to accept the gas cylinder. Five 2" diameter, dual wheel, hooded swivel casters made of high-impact plastic with steel stems and lock-fit expansion rings. Five-prong base made of glass-reinforced nylon and are tapered to accept the gas cylinder. Five 2" diameter, dual wheel, hooded swivel casters made of high-impact plastic with steel stems and lock-fit expansion rings. Optional arms available and optional press-fit glides.